a solo or group trip that perfectly fits your needs!! 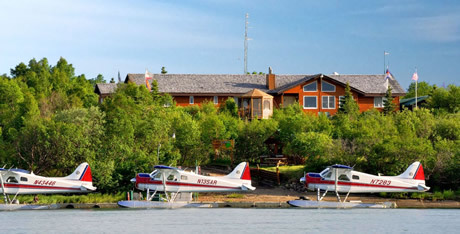 Alaska Rainbow Lodge - a 5-star, world-class fishing lodge adventure, where you will enjoy some of the world's best Alaska fishing for trophy Rainbow Trout, Arctic Char, Grayling and Silver Salmon, King Salmon, Sockeye Salmon. Float plane fly-out every day. Access to more than 30 different rivers and streams and over 3,000 square miles of Liliana-Katmai watershed into Bristol Bay. Alaska's affordable "boat-fishing" lodge, specializing in salmon and trophy rainbows. Fish for Brook Trout, Rainbows, and Browns at one of the largest ranches in South America - over 24,000 acres of land for each angler. You'll feel as if you're the only person fishing in Patagonia. Travel to Andros Island for bonefish - well known for size and numbers - hosted by Swain's Cay Lodge - which is ideally situated to access both South Bight and fabled Middle Bight areas. Trip is fully guided by local experts. 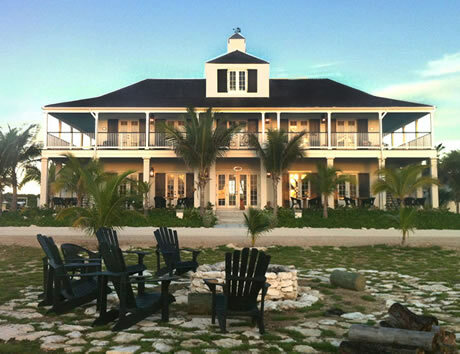 Swain's "Reefside Restaurant & Bar" is right on the beach and serves up authentic Bahamian cuisine. Located on beautiful Abaco Island, world renowned for bonefishing, the Blackfly Bonefishing Lodge (itself now world-famous) came about by collaboration between stylish artist and president of Blackfly Outfitter Vaughn Cochran, and native Bahamian and accomplished fishing guide and entrepreneur Clint Kemp. The Lodge in located in Schooner Bay, a new development project geared to the fly-fishing enthusiast. 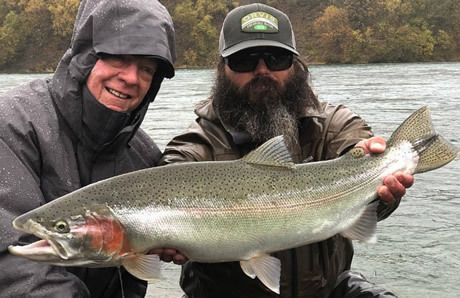 Clint Kemp operates the Blackfly Lodge as General Manager and Vaughn Cochran gets there as often as he can to enjoy the outstanding fishing. Blackfly has assembled an outstanding staff - including Patrick Roberts as Director of Fishing. Expect the finest in accommodations, food, and fishing - Permit and Bones are primary targets. Single Occupancy including gourmet meals, guides, boats (custom East Cape Skiffs). Want to see more? Visit Vaughn Cochran's Blackfly Lodge website. 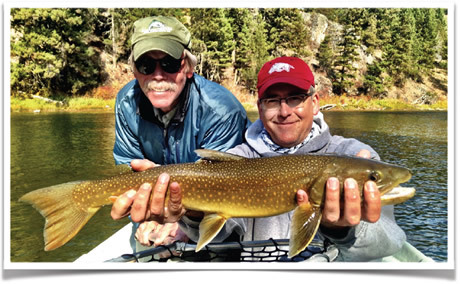 A K&K favorite, and easily southwest Montana's most versatile and affordable full-service fly fishing lodge. 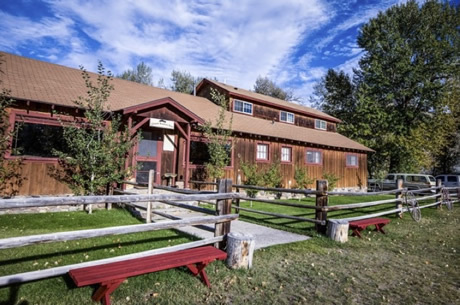 You will stay at the fly fishing lodge on the Big Hole River. From here, lots of opportunities are in play, like access and fish the Big Hole, Beaverhead, Jefferson, Madison, Spring Creeks and Lakes. Excellent location, awesome, guides, great meals! 2019 will be year #11 for this favorite of Montana Fly Fishing trips! The Bitterroot, Black Foot, and Clark Fork rivers are available for exceptional Brown, Rainbow, Cutthroat and Bull trout fishing. Great guides and fishing. Our "basecamp" is the DoubleTree Edgewater which overlooks the Clark Fork River.